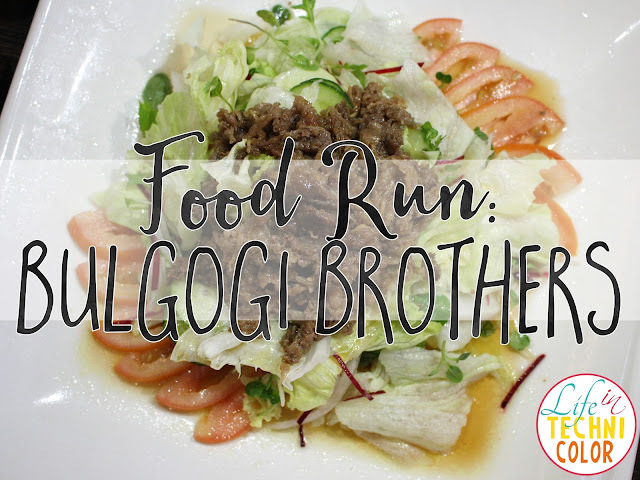 Our fourth stop: Bulgogi Brothers! 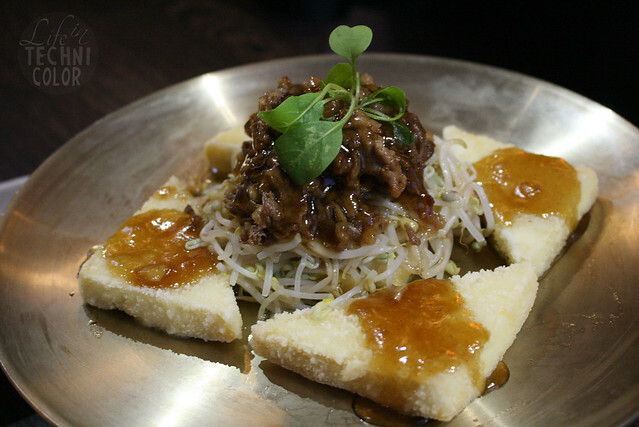 It's an interesting combination of deep-fried tofu steak, beef, and bean sprouts mixed with Teriyaki sauce. A mix of sweet and salty elements in one dish. 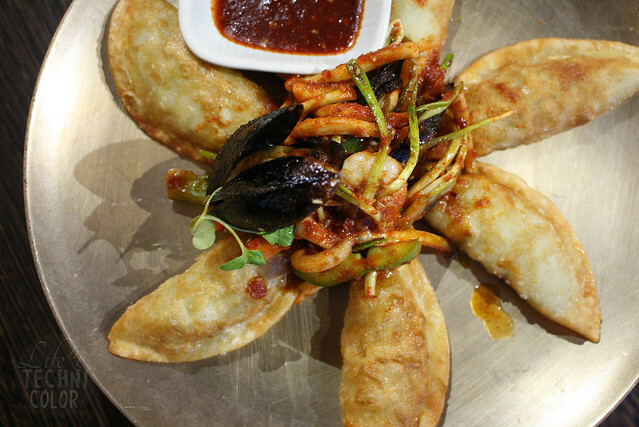 This is basically a spicy version of gyoza - pan-fried pork dumpling with seafood, stir-fried in sweet and chili sauce. The dumpling itself wasn't spicy though, so if you want some extra spice in your life, dip it in that red sauce you see above! Warning: it's really, really, really spicy! 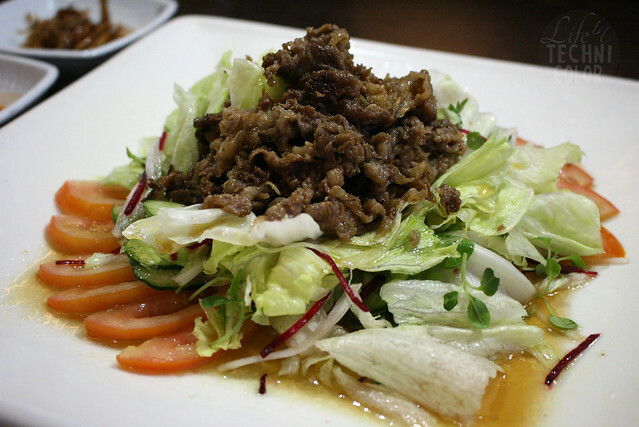 I'm going to be honest here, I ignored all the greens and just went for the beef bulgogi! Haha! I'm sorry, but I've already had three different salad dishes that day, so I just couldn't take any more. 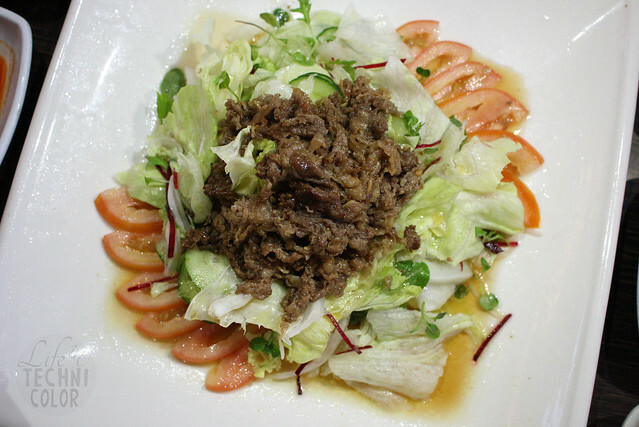 I was pleasantly surprised that they used soy-lemon vinaigrette, so it made everything slight sour. Some may not like it, but I personally enjoyed this one (the bulgogi at least haha)! 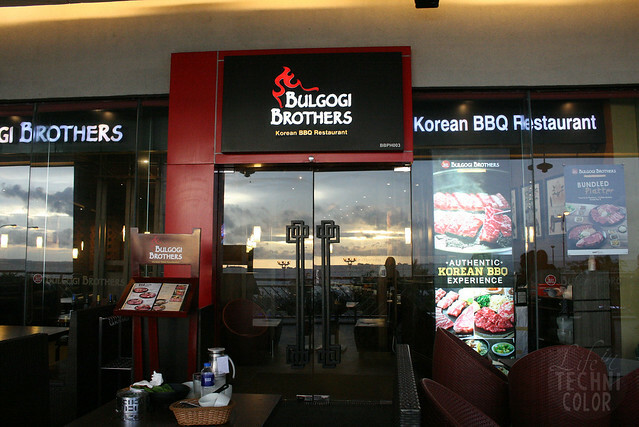 Bulgogi Brothers is located at the Second Floor, Entertainment Mall, Mall of Asia Complex (MOA), Pasay City.